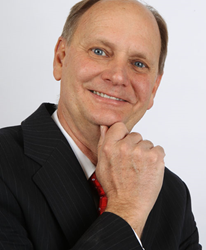 Alan Cowgill will feature LegaLees tax and asset protection attorney Lee Phillips at his Where to Get the Money Boot Camp in Las Vegas on Friday, March 7, 2014. Attorney Phillips is President of LegaLees Corp., and has spoken to thousands of audiences throughout the United States and Canada. His speech will cover the importance of entity structuring in asset protection with an emphasis on trusts and Limited Liability Companies (LLCs). These entities act as a safety net to protect the owners from lawsuits, bankruptcy and other tragedies that threaten a financial future. Mr. Phillips will also discuss how to manage these entities to get the full asset protection advantages, and include a number of tax saving strategies designed to save thousands each year. He will address the Boot Camp group at 10:15 AM on Friday, March 7, 2014 at the Sunset Station Hotel & Casino at 1301 W Sunset Road in Henderson, Nevada. Mr. Phillips has written 11 books, including his latest Protecting your Financial Future. Over the years he has prepared hundreds of articles for real estate investors, small business and medical professional people coaching them on the best way to use the law to safeguard their assets as well as increase their income. Mr. Phillips is a counselor to the Supreme Court of the United States. This is a distinct honor because less than five percent of the nation’s attorneys hold this position. Mr. Cowgill is the owner of Colby Properties, LLC, and President of Integrity Home Buyers, Inc. He is a full-time Real Estate Investor, investing in single family and small multi-family properties in Springfield, Ohio. He routinely uses Private Lenders, not banks, to fund his real estate purchases. An author, consultant and national speaker, he is often asked to speak on “Investing for the Beginning Investor” and “Finding Private Lenders.” Interested potential attend can find more information and sign up at PrivateLendingMadeEasy.com.